If your website isn’t producing the results you want, it’s time for an organic website review. During your audit you’ll figure out what’s going wrong—or right. This hands-on guide gives step-by-step instructions on how to do a technical and content-focused website review. 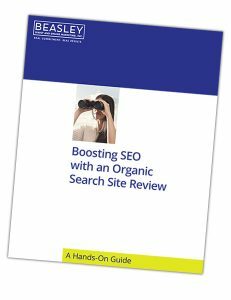 It addresses the key areas search engines review when looking at your site. Fill out the short form below to access the guide.